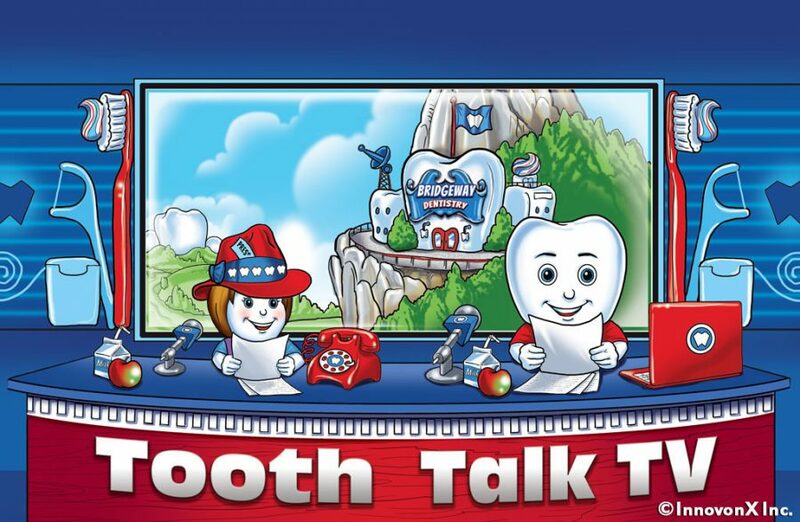 Make oral health fun for everyone! 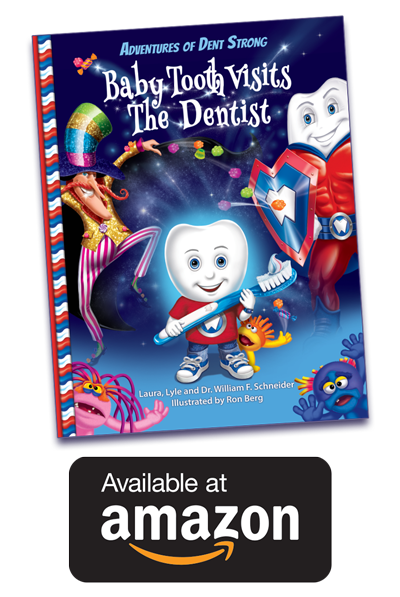 Purchase the best oral health book ever. 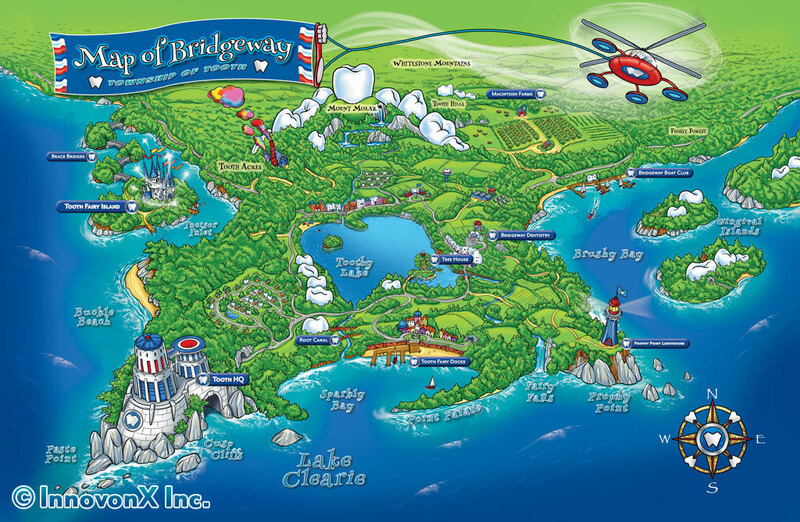 Welcome to the magical little town of Bridgeway, in the Township of Tooth, on the shores of Lake Clearie. Get ready to join Baby Tooth on his visit to the dentist. As always, Bridgeway’s sugary troublemakers, Kraven Sweets and his minions, the Bacillus Brothers, are up to no good. Be a part of the adventure, meet Tooth Heroes and villains, and don’t forget to bring along your toothbrush, toothpaste and floss. Outside of Canada? Contact us at [email protected]. I must say this book is a must have! Our kids love it! They range from 1yrs old to 3yrs old and to 6yrs old. It has not only become a bedtime ritual but also a morning kick starter. What's even more remarkable is that our two older boys actually want to brush their teeth now. Honestly - they want to do it right after we've read the book. We've paired the book with their youtube channel as our evening routine and they love brushing their teeth at the same time as Baby Tooth does online. As 34yr old father, I must say I really enjoy the level of detail, colour and graphics - I find them very captivating and exciting. My only complaint would be that we'd really like more adventures to come out very soon, as that's now a common question we hear right after we finish the book. LOL. The message of why and how we take care of our teeth comes across through a well crafted story line as well as creative super heroes. 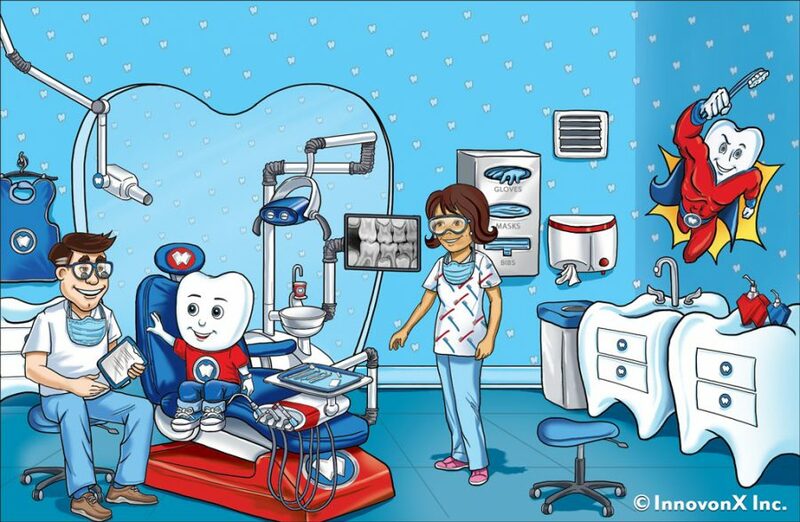 The very capable illustrator uses graphics that from a retired elementary teacher's point of view, the educational value of Baby Tooth Visits The Dentist is outstanding. The need for daily, oral dental care as well as regular dental check-ups is addressed in this book in a thorough yet entirely winsome way. 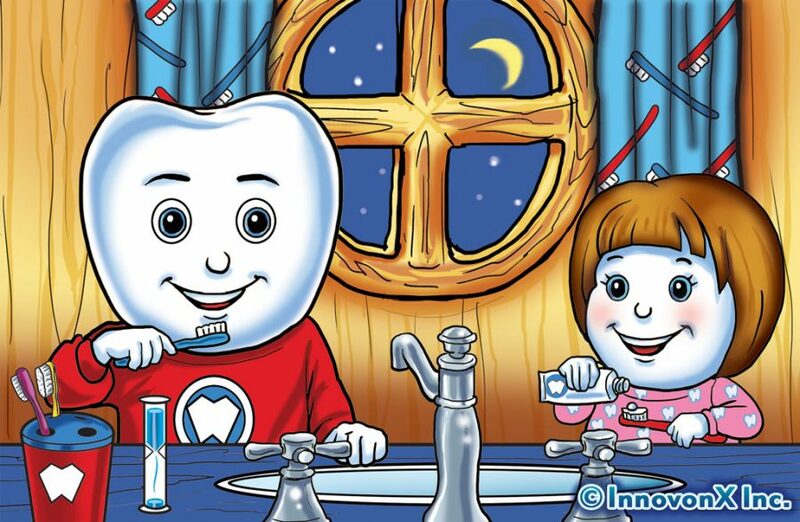 The message of why and how we take care of our teeth comes across through a well crafted story line as well as creative super heroes. 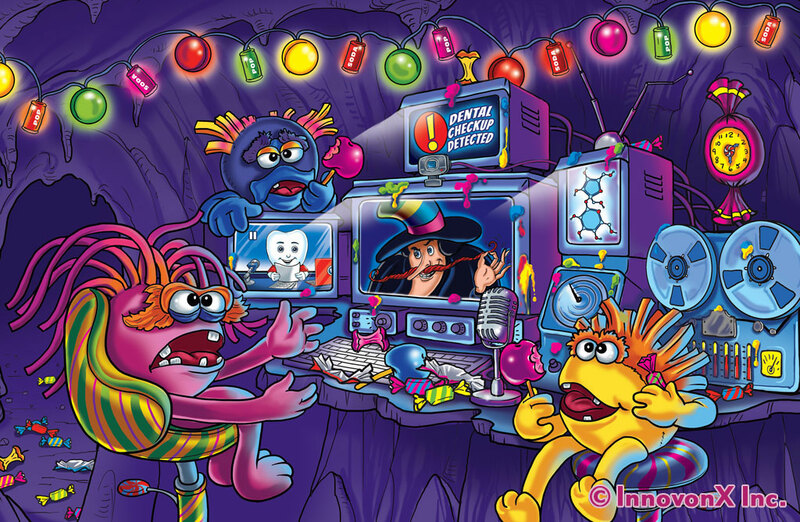 The very capable illustrator uses graphics that are colourful, contemporary and appealing to children of all ages. 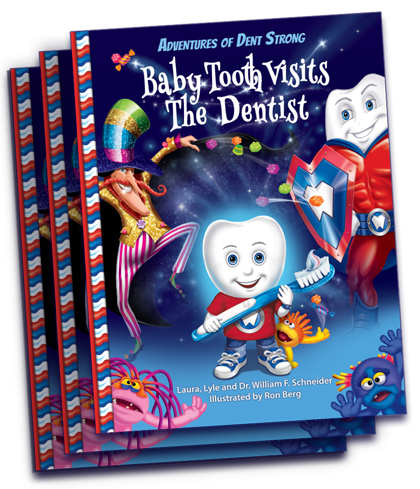 This is also a great book for parents to use to prepare their children for their first dental visit since children are carefully introduced to the dental office and its procedures. 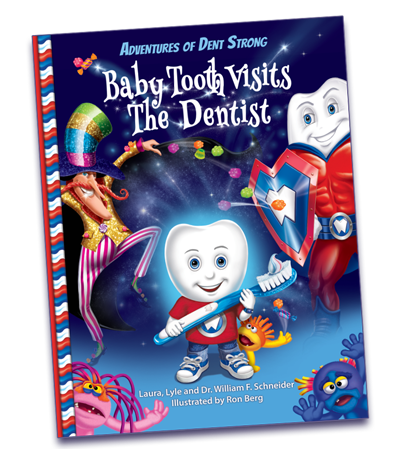 I read this book to my young grand-children (ages 4 and 6) and they were both enthralled by the story and motivated to take good care of their teeth, exactly the goal of this wonderful teaching tool. For information on bulk purchases for your patients, community, organization or outreach programs contact the Dent Strong team at [email protected].